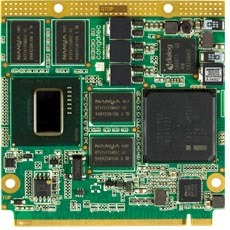 conga-QA6 is an extended temperature range small form factor module. The conga-QA6 is based on the Qseven® mobile standard and is equipped with the new Intel® Atom™ processor E6xx series as well as the Intel® Platform Controller Hub EG20T. All components of this design are specified for an industrial temperature range of -40°C to +85°C.